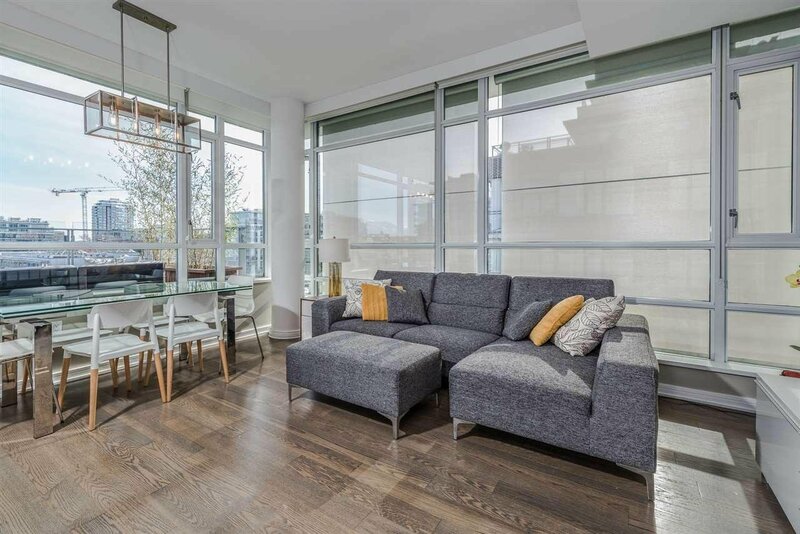 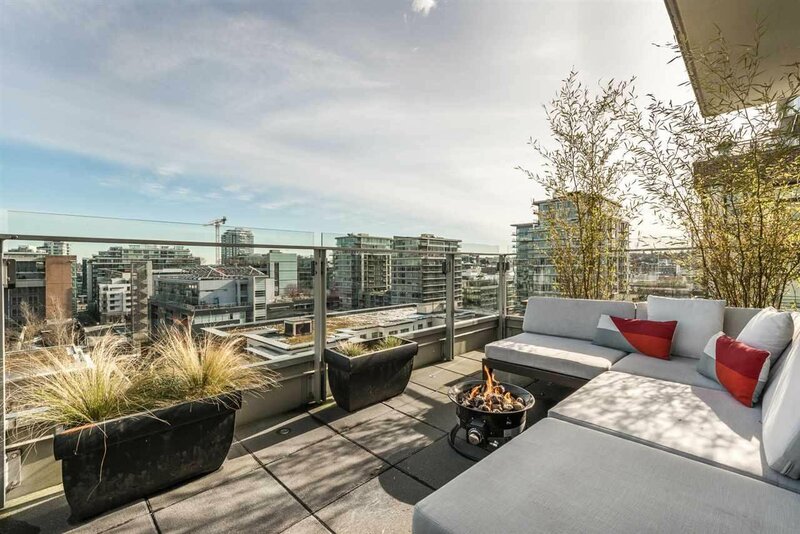 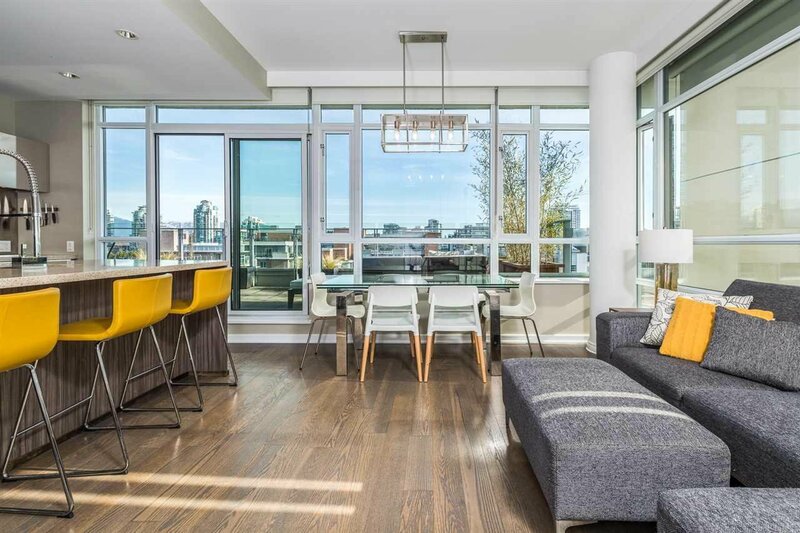 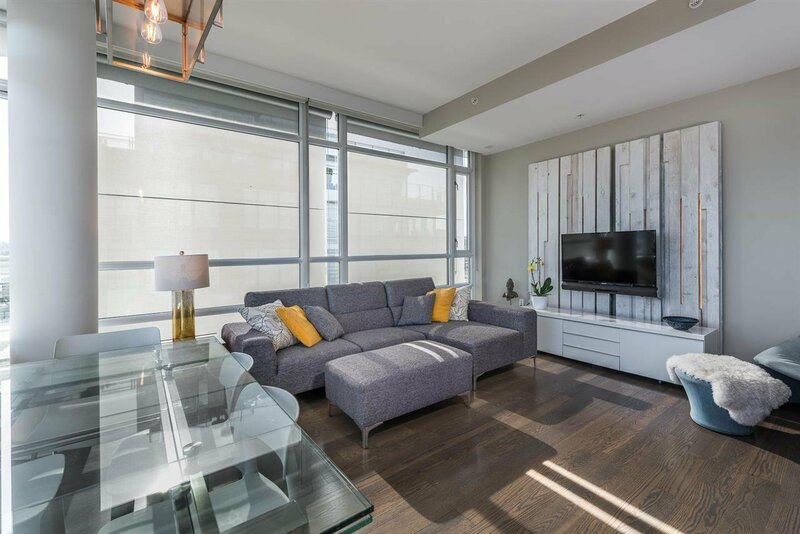 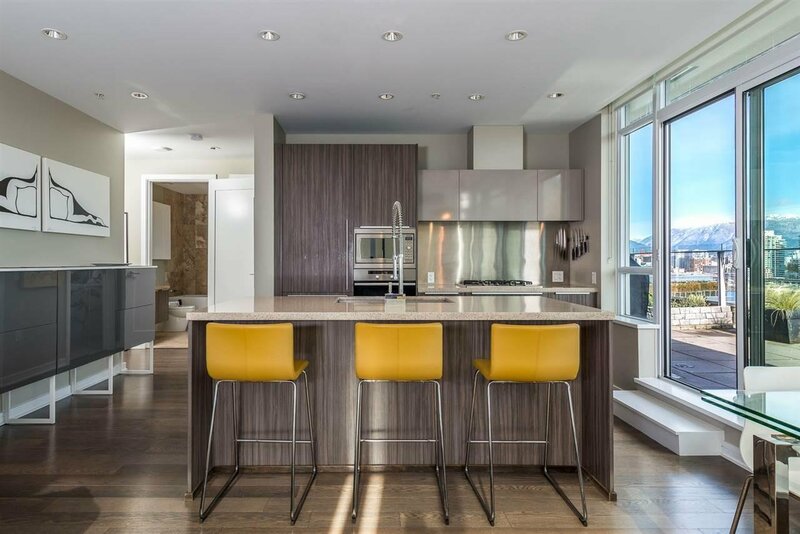 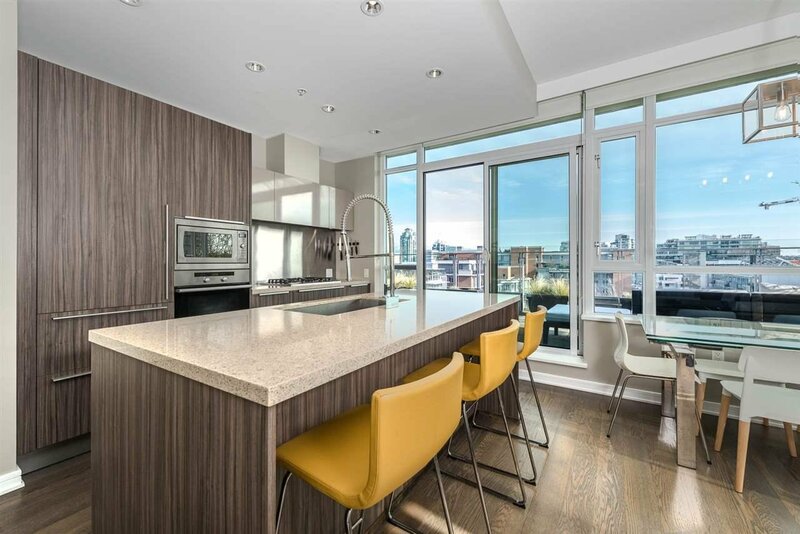 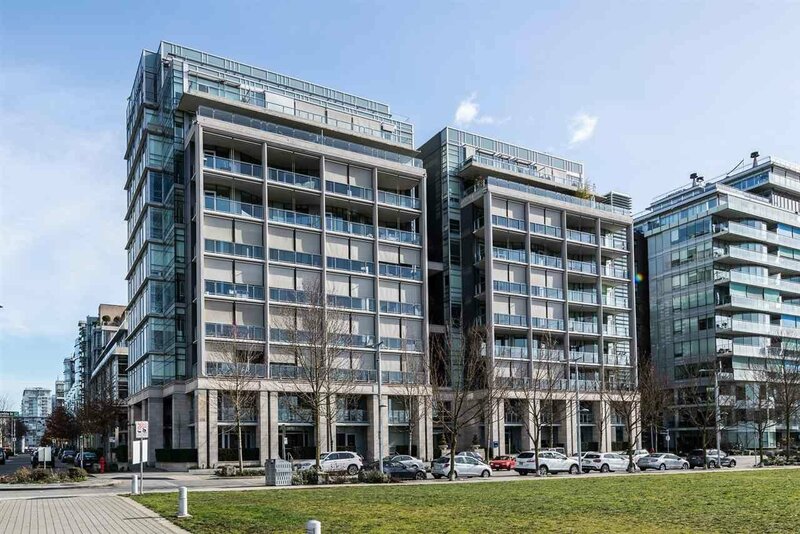 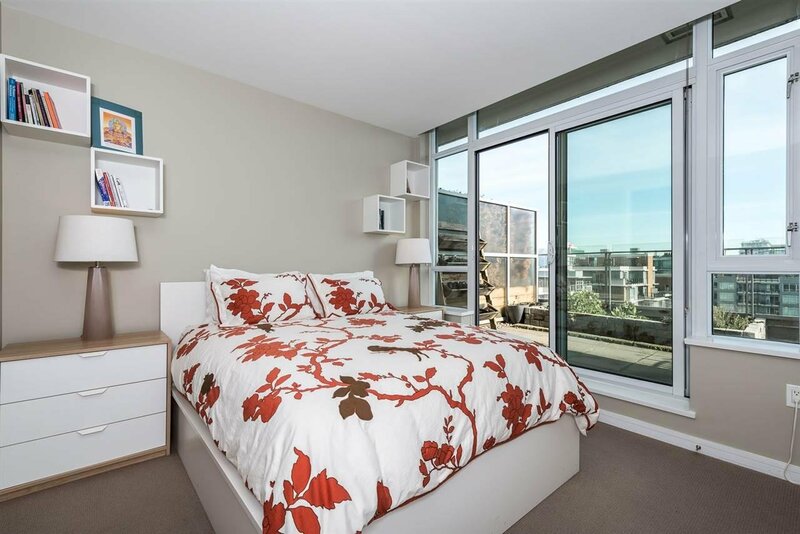 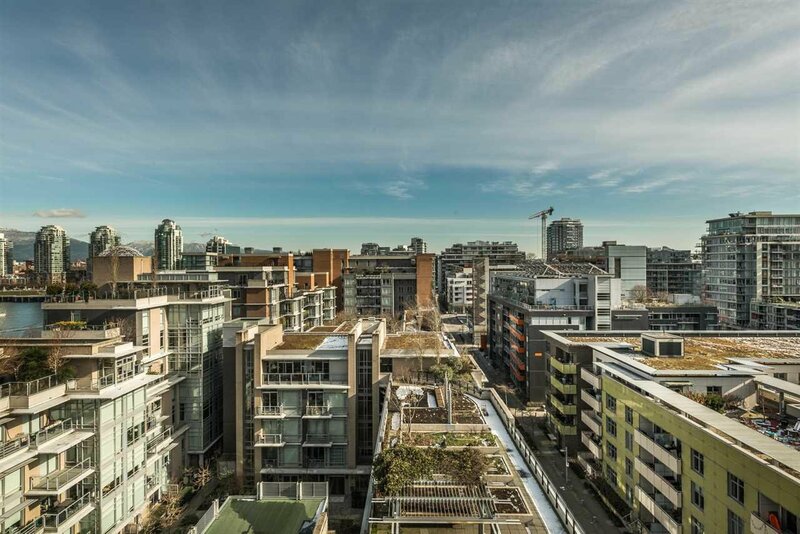 902 1616 Columbia Street, Vancouver - SOLD | Guy Christie - Oakwyn Realty Ltd.
An incredible light filled open plan suite in the heart of the Olympic Village. 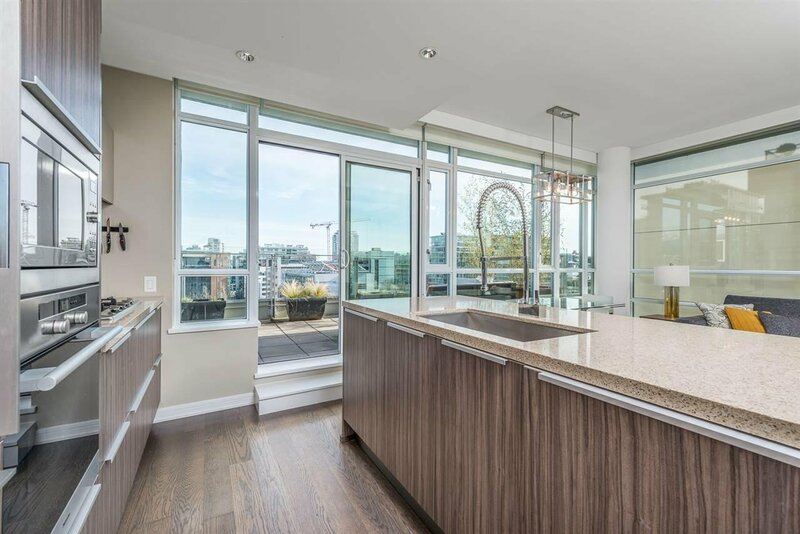 Situated on the 9th floor of the coveted Bridge building, this large suite has a wall of windows accessing the extra large 288 sf deck. 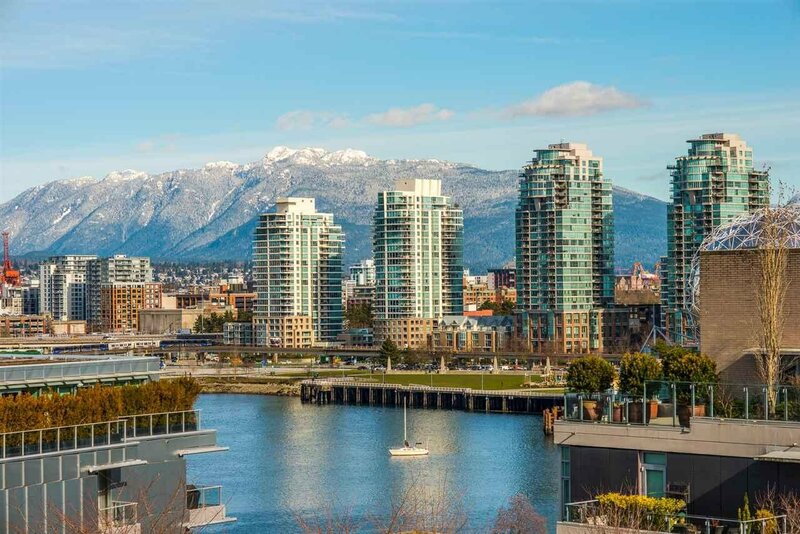 Enjoy the twinkling lights of downtown and the mountain and water views on your great entertainment deck. 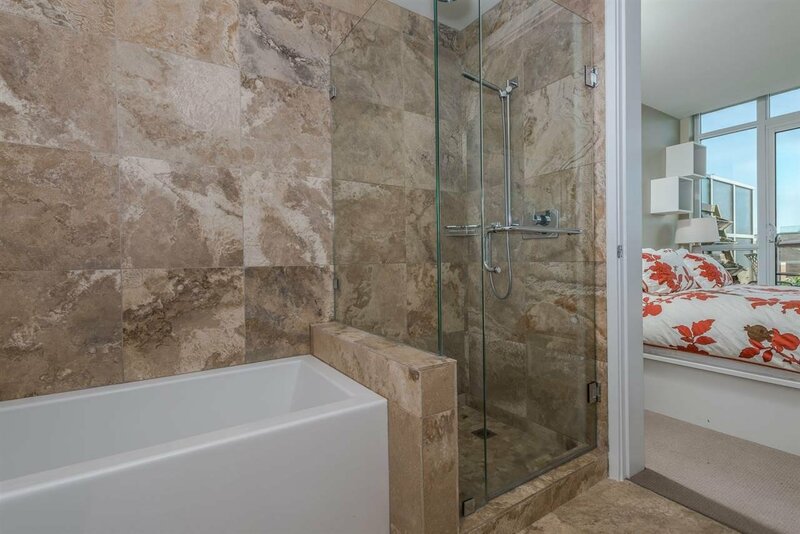 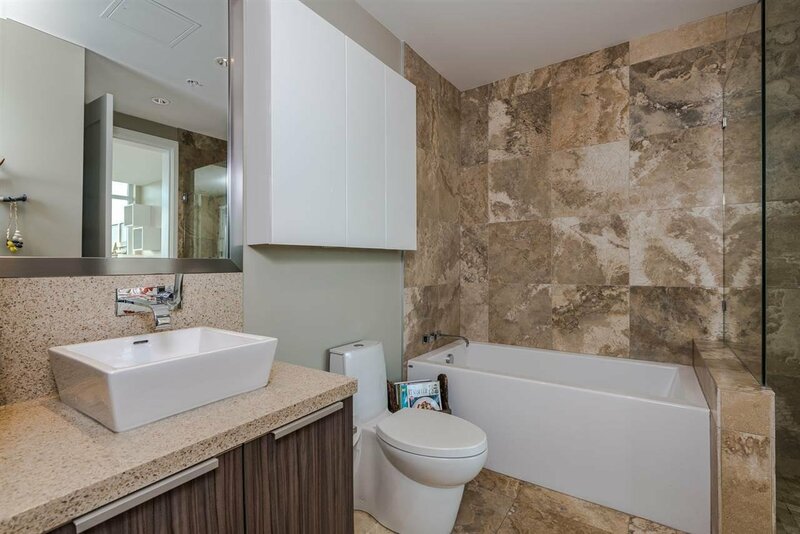 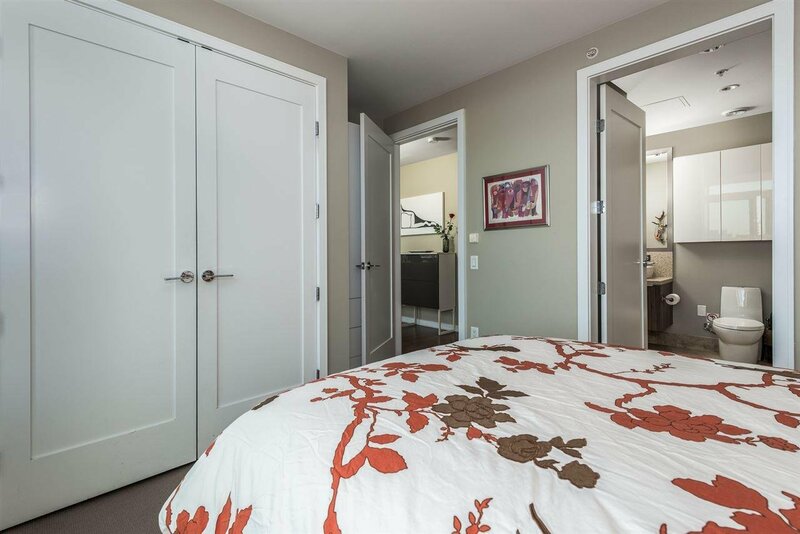 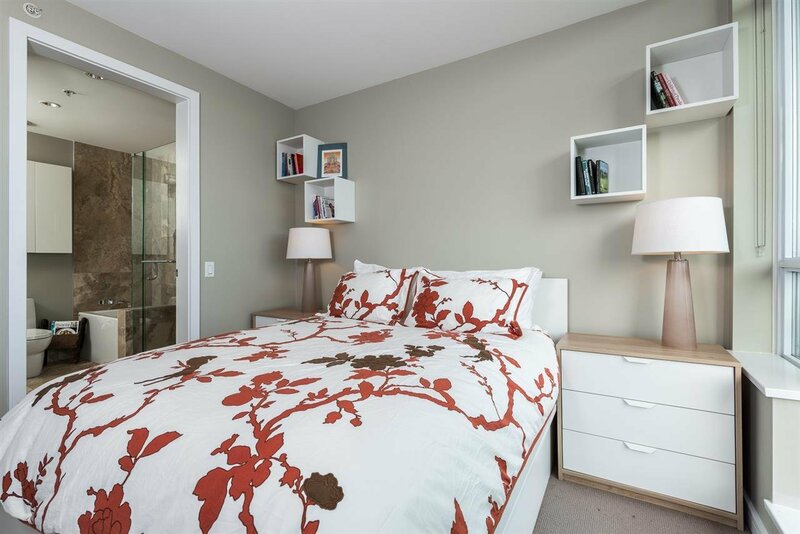 The large in-suite laundry offers great storage as well. 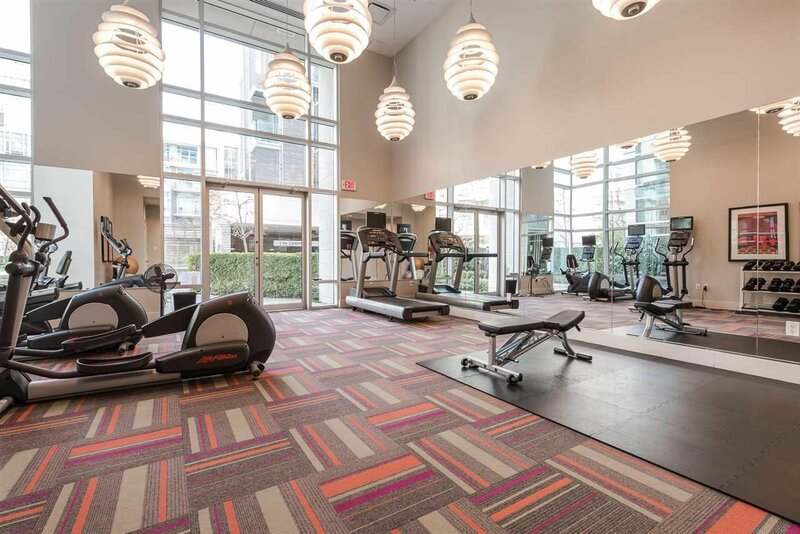 The building has a gym and the suite comes with membership to the Gold Medal Club with a full fitness studio, infrared sauna, steam room, hot tub and pool. 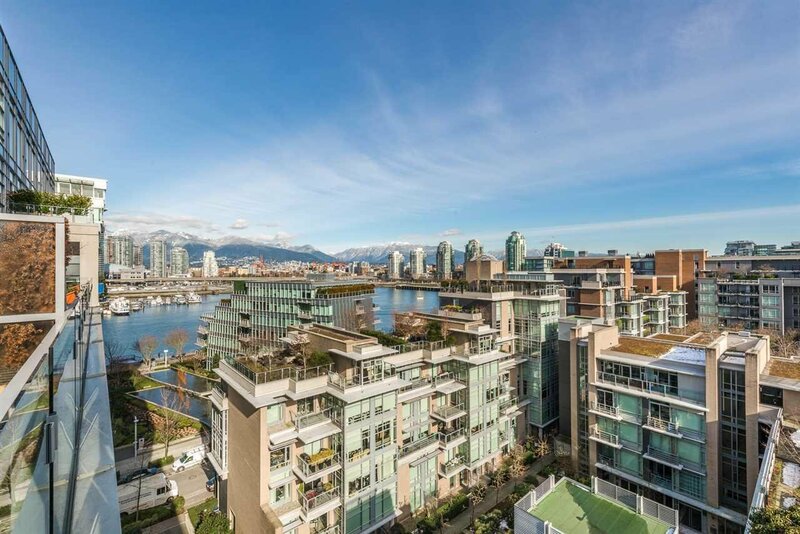 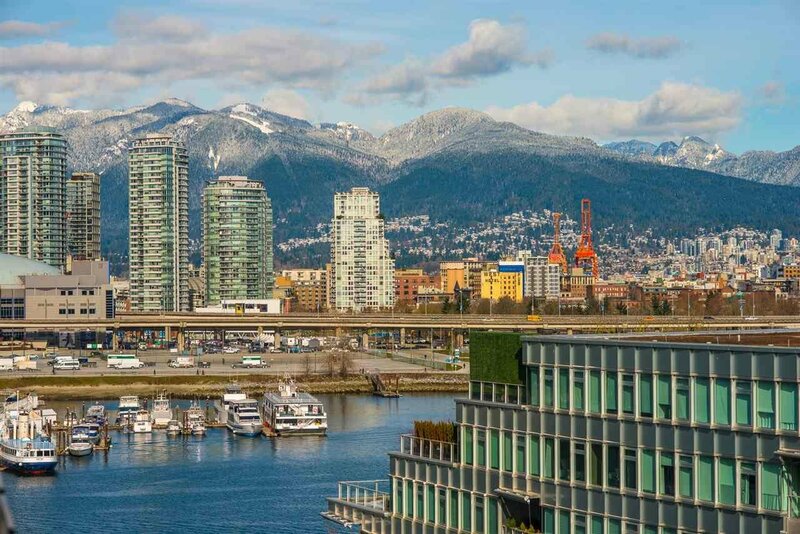 Easy stroll to the seawall, restaurants and shops.